What is the Importance of Spirituality in Life - Why Be Spiritual? The first question is what is spirituality? Spirituality is defined as the value by which humans live. It’s the sense of connecting beyond the self. Next question is what is the religion? Religion is the understanding about the presence of God and following the defined process to worship them. Spirituality is something which affects us all in a similar manner and helps us connect. The connection is to self or others or nature or anything else. However, Religion has the rule-bound process. It asks for worshipping a deity and there is a process to do the same. It has a “rule book” and it defines true with false. Now comes the question, what should we follow for a better lifestyle? Like I have shared in my previous blogs there is no rule book for lifestyle.Follow what you feel is right because it is an outcome of where your life is right now. Also, no two people can have unique experience and life. What others do might not apply to you. Visiting religious places church temple mosques etc. Again the answer is, there is no rule book it’s each one to their own. There are people who organize very long worshipping session and sit long hours trying to connect. Some follow strict rule book but some just connect only by clearing the thought process. A debatable question is if someone who does what makes them happy is better or the one who follows the religious process? If a person is able to clear the thought process by mere meditation or reading a book then going to far flung places seems secondary. I am still exploring more on this topic , but I understand spirituality and connection is an important part of the lifestyle. Radha Krishna Temple, India. 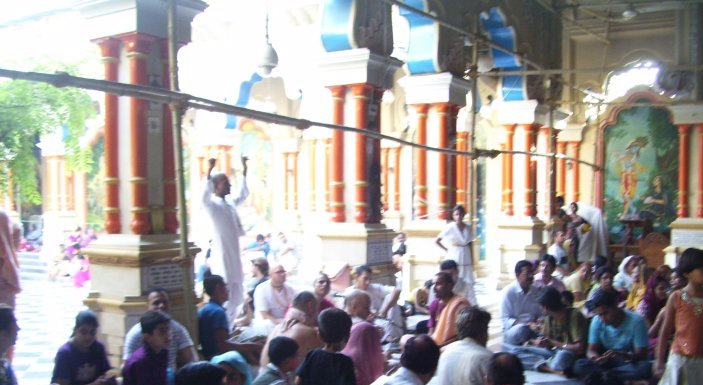 Vrindavan has many such temples and it is very religious and spiritual destination. Vrindavan is a small town in UP, India. It’s near Delhi the capital city of India. This place is known for Radha and Krishna worship. This is the birthplace of Lord Krishna and very high ranking spiritual destinations for Hindus in India. Though I have been to Vrindavan many times but every time I go there I learn something new. 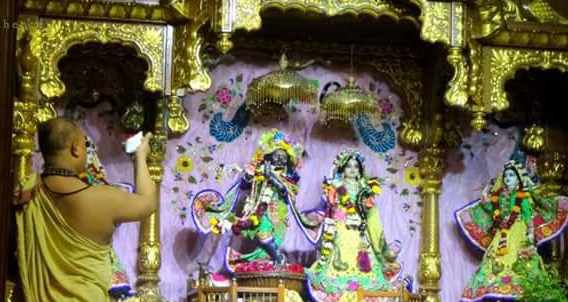 Iskcon temple Vrindavan – group of worshippers chanting Radha Krishna Songs and Bhajans. During my childhood when I visited this place, it was visible to me as the city of mind boggling Krishna temples. Everywhere I went I saw different forms of Lord Krishna and heard different stories associated with each place. I kept exploring and reading more about it. A few years later my next visit was another unique experience. In this visit, I could connect with the powerful Hare Krishna Chants which happens at every place. The Chanting is also another form of meditation where powerful words are recited over and over again to create a positive aura. In my next trip, I was awed by the architecture and I read more about the history of how those beautiful temples were built. Great Architecture of Iskcon Temple. Vrindavan has many such beautiful temples and the designs have history behind them. So with each trip, I had a unique experience and unique observation. I had something new to learn every time. This shows that visiting a religious place is not merely about religion but it is about connection. Interestingly connection can be of different forms and I connected with temple, music, architecture, history and many more things on my each trip. I also wonder what all will I learn and connect in my future trip. My recent trip was more on just going with no agenda and just letting everything sink in. 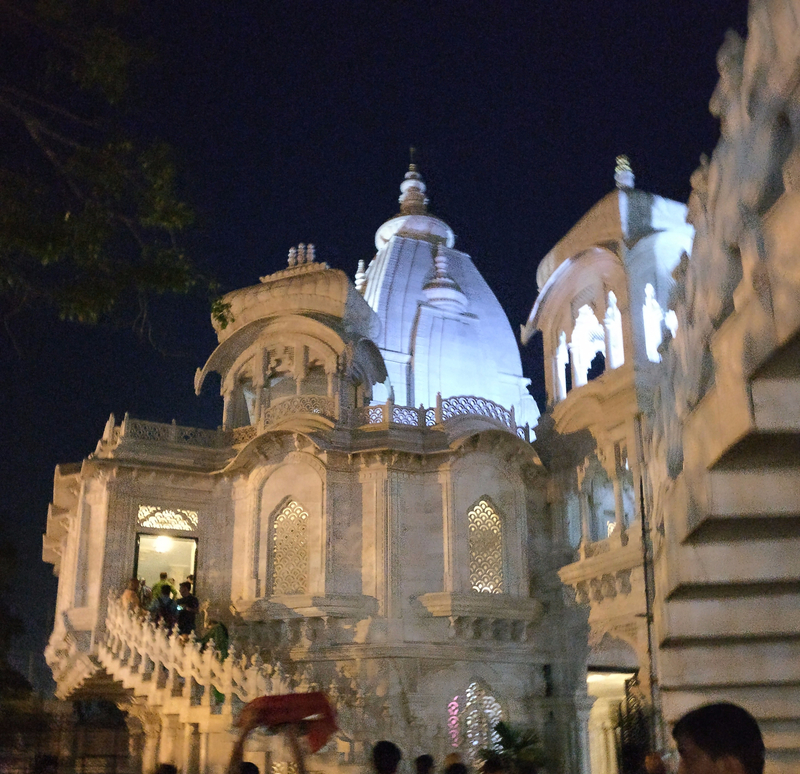 The visit was interesting because now I am more experienced about visiting this destination and I straight away moved to the Iskcon temple to attend the evening “Arti” the worshipping ceremony. As I entered the temple like always a group of worshippers was chanting in a circle and another group was dancing. Some were mere observing and some were worshipping with closed eyes. The priests started the prayer Arti at the exact mentioned time.Here, everyone was joyous and not for a cause but for their own peace of mind.They seem to be connected to the better sense and that connection I can define as spirituality. So, the modes were different as, some danced, some sang, some played instrument, some chanted, some observed, some meditated some worshiped but all were in a spiritual mode. The method is not important nor are the rules. Spirituality is about connecting with the higher goal and it can be any place any time any method it’s about better lifestyle. 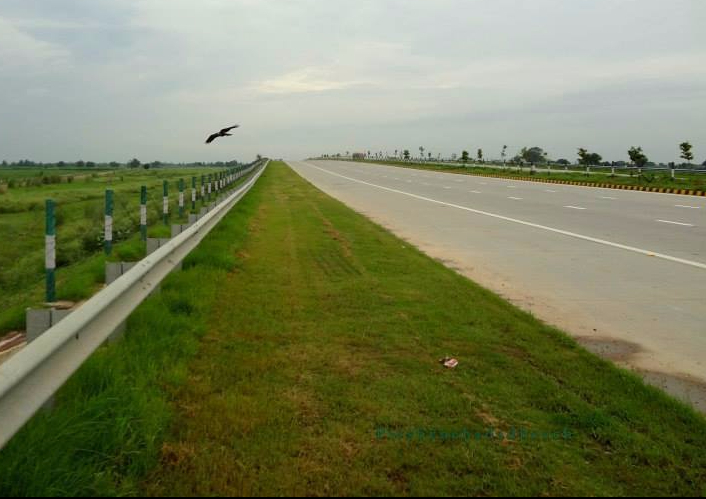 On our way to Vrindavan, the journey in itself is as beautiful as the destination. I also would like to share here that the journey is more important than the destination. The time we travel to reach a destination is no less important. As we think about the place where are going and on our way, we already get our spiritual mode on. Last such place I traveled was Rome.When I entered the Sistine Chapel or the Vatican Church St. Peters Basilica, I saw those crepuscular rays and I remembered Vrindavan. I remembered the chanting and there I had an instant connection with that location!! With this feeling, I visit often Rishikesh Ajmer Amritsar Rome Pondicherry and many other places, not only for religious purpose but for spirituality and better lifestyle. What a lovely blog about your spiritual experiences on your various travels. I love India and the spirituality everywhere. Thank you for sharing! This is a great blog, like this post so much, like to read such kind of posts. Thanks for sharing. What a wonderful adventure you got here, I love all your photos, and the story of your childhood and adolecence that you want to share to us, very inspiring and I can truly absorb that spiritual feeling that have. Hi, Anushka, so glad to know about your experience in Dubai, I felt the same in Rome or Amritsar or Ajmer too. It’s so interesting. I agree that with each time you visit a place, if you are open, you take something new away. And if I remain open, you can see how it relates to me in my life. It is about being fully present in an experience that provides the connection to spirituality. I wasn’t thinking about this until I read this post, so the article is thought provoking. Hi, Wendy, many thanks for the positive feedback on this post. I am so glad you understood the message I have put across. I also realized this only when I analyzed all of my visits the spiritual side of any destination I traveled. This is interesting and I am still exploring. Neha thanks for differentiating between spirituality and religiousness. I wasn’t aware of the exact difference. I guess your trip to vrindavan, rishikesh etc would be beneficial in spiritual and religious sense. But a general trip to the himalayas would be for spiritual purpose. Am I correct? Hi Ambuj, the Himalayas have a lot to offer, one can travel with or without spiritual connection , but if we get open to what it has to offer and read about the legends and history it becomes even more interesting, most of the trekking is alongside various temples too and exploring the architecture is a good idea . A different way to travel 🙂 Thankyou for your feedback, glad you liked this write-up! Thank you for differentiating between spirituality and religiousness. There s a small but crucial difference indeed. I think a solo trip anywhere in the world which helps one introspect and engages with one’s inner self is spiritual in nature. Is that a correct interpretation? Ambuj, though I am still exploring on this, I agree with you, anything that connects to outwardly or inwardly is spiritual, it’s about exploring in a different way.